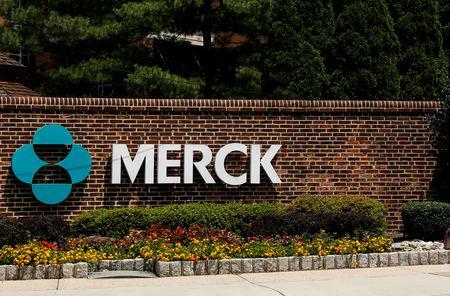 (Reuters) - Merck & Co Inc said on Thursday it was launching three late-stage studies for its cancer immunotherapy Keytruda as a combination treatment for prostate cancer after the drug showed anti-tumor activity in an early-stage trial. The interim findings of the trial testing Keytruda in combination with other cancer drugs such as Lynparza, which it jointly develops and sells with AstraZeneca, and chemotherapy docetaxel showed anti-tumor activity, Merck said. "These promising data .. coupled with the significant unmet medical need in patients with metastatic castration-resistant prostate cancer, propelled us to initiate three new Phase 3 trials to further evaluate these Keytruda combination regimens," said Roy Baynes, chief medical officer at Merck Research Laboratories.